Connect Private Hire is about three things: quality, rapidity and friendship! By using their services, you will not have to wait an hour for a cab. Your taxi will arrive with the speed of thought, and you will find a nice car with comfortable seats and a friendly driver, ready to take you anywhere you need. Is it something more pleasurable than having a trustful company at your service? How many times have you been angry because your taxi did not arrive on time, and you missed an important meeting or appointment? With Edinburgh City Private Hire, this nightmare will never become reality again. The professional drivers take great care to provide their clients with excellent fast services, in Edinburgh and in the surrounding areas. 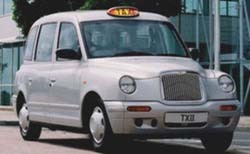 For more information, visit their official page www.edinburghcityprivatehire.com. Have you ever been seduced, or conquered by a cab company? If not, it means you have not heard about Edina Executive Cars yet. Fully dedicated to customers' satisfaction, Edina Executive Cars is one of the most reliable companies in Edinburgh. Unlike other cab companies, they take great care not to disappoint their clients, to make them feel comfortable and drive them safely to the wanted location. Finding a good taxi company has never been easier. With Persevere Private Hire, transport is a pleasure more than a necessity. 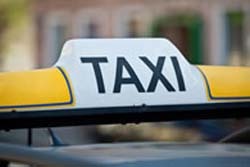 Whether you need to get to the other side of the town or just two feet away, whether it is 6 o'clock in the afternoon or 3 o'clock in the morning, Persevere Private Hire will immediately come to your aid. If you need to get somewhere and you don't have a car, or if you drank a little too much and you need a driver, you now know whom to call.